With The Comforts Of Contemporary Living. 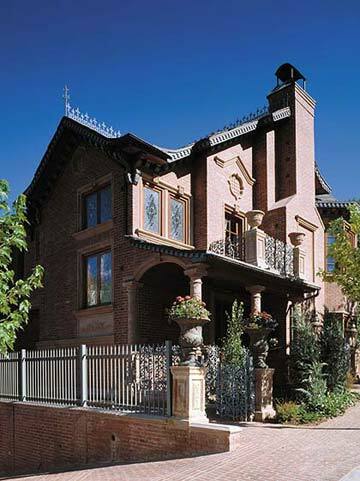 Crisp Aspen skies frame this elegant Victorian, a warm and luxurious home in which to entertain and to gather with family and business associates. his house sat empty for several years. It had no appeal because it was so dark and heavy feeling," notes designer Eloise Kubli, ASID, principal of Collective Construction & Design, Inc. in Plantation, Florida. Kubli's clients, however, had a vision of what the neglected Victorian could become.